The holidays are such a weak spot for me when it comes to making healthy food choices. The baked goods, the candies, the breads, the hot cider. It all screams my name and I give in at a pitifully rapid rate. In an effort to avoid an all-out sugar meltdown in my body, I've compiled a list of yummy holiday treats that fall under the 'Clean Eating' category. 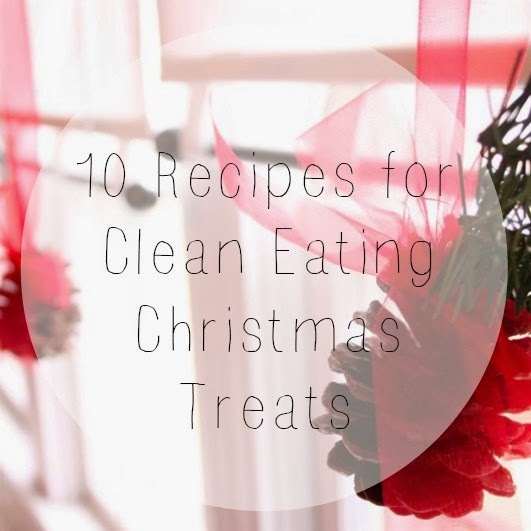 By clean eating, I mean basic ingredients and/or gluten, grain or dairy free. It's all about avoiding excessive amounts of processed sugars and ingredients I can't pronounce. Here are 10 great options that I am super pumped to test out. Plus I'm hoping maybe you can relate so I don't have to feel quite so terrible about this holiday struggle. Here's to a healthier, but still delicious Christmas season . . . of course my body is thanking me in advance. Thanks for capitalizing the "or". Orange Mint Fudge would be gross. And thanks for the list!! They sound indulgent, so I'm excited to try them! This is awesome, thanks so much! I'm trying to avoid anything processed this year (why bother when there are so many great homemade treats floating around?) and anything with added dye. I should make some of these for my cookie exchange! !